- Price listed in original headline does not include freight charge. - $500 early order bonus available on all models with the exception of the "S" sedan. OMG, this is brutal!! This prices are going to assassinate the competition . . . . What a game changer. "...the all-new, car-based 2011 Explorer, which goes into production in December and officially launches in early January..."
"...The official Explorer launch Jan. 11. Michelle Krebs is Edmunds.com senior analyst and editor at large. 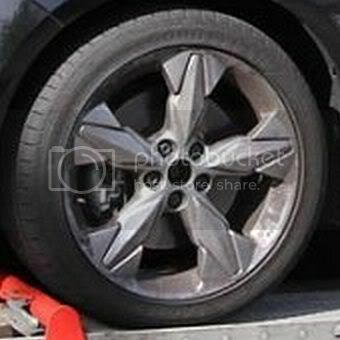 15" cover = std on "S"
opt on "SEL" & "Titanium"
Thats a great wheel collection for this time around...much better than last. While I am glad to see Ford is very competitively priced, Do not count Hyundai and Chevy out. Those two offer an awful lots of standard features for the base price. Features is where this battle will be won. I will wait and see a full on standard features comparison. I have driven the Cruze 2LT a $21,000.00 model and it totally destroys everything from Japan in its class. Its super super good for that price. Its Turbo is very peppy and looks really good in person, to the point I was shocked. I am confident Ford will more than make a car as good as the Cruze. But, they cannot afford not to content it like the Cruze. The 10 speaker system sound system is as good as an after market system, onstar Navigation, Bluetooth, stabilitrack, turbo power, quite tuning in the Cruze is spectacular. I am sure the Ford guys probably have a Cruze LTZ in their labs right now. I will try the Elantra when it comes out, and of course the Focus. Ford also needs the 100K warranty like the Hyundai and Cruze. 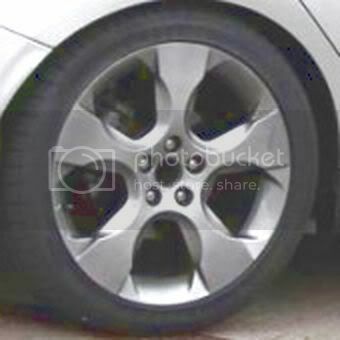 Main difference is the center of the Fiesta's wheel covers are not blue. 1. Where is the handbrake/ parking brake on the lower end models (S and SE)?